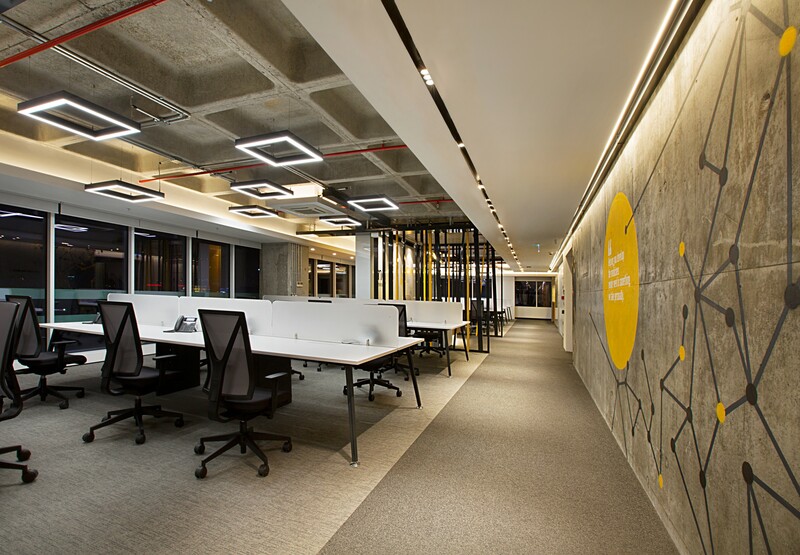 The multinational pharmaceuticals research company INC Research has moved its İstanbul HQ Office to the prestigious Nida Kule in Göztepe, spread into a 450m² open plan. The corporate approach of the company combined with the components of the office space, the function set that was result of a detailed requirements analysis and the principle of using natural daylight efficiently throughout the office has given shape to the design decisions. 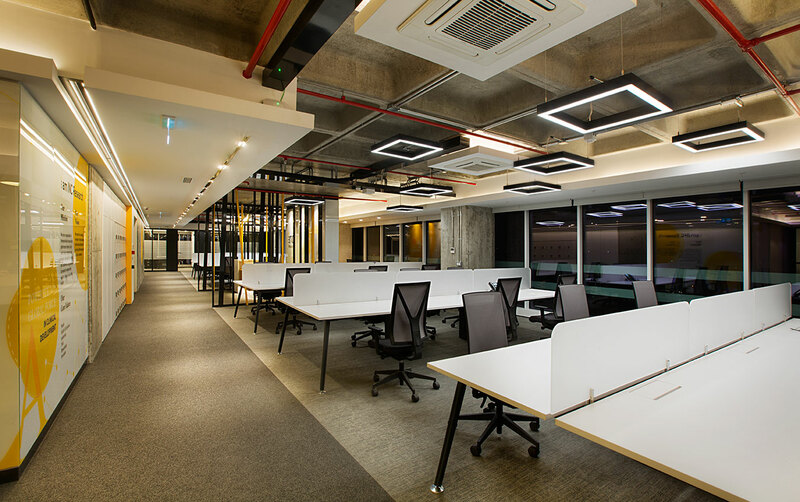 Following these principles tha open offices and execututive private offices have been placed along the exterior wall, while the technical rooms, print rooms, kitchen and other service spaces have been placed in the center of the layout. As in all the projects of Avcı Architects of various scales, the use of local natural mateirals have been the priority. 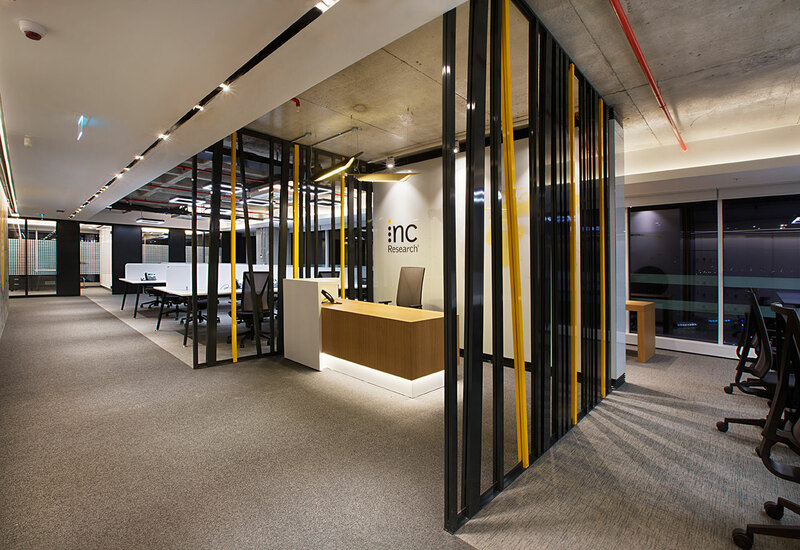 A primary corridore that starts from the entrance space has been designed as a backbone of the whole office space with a continous surface on one side, while on the other side is confined by the reception area and open office spaces. The main wall that defines the corridor is treated as a surface that incorporates and projects the physical and conceptual identity of the space. The existing concrete surface has been preserved and graphics designed by AVCI ARCHITECTS have been applied on it. The suspendin ceiling over the corridor has been designed to contain the backbone of the (mecanical) electrical system.